Whenever you face a problem with your garage door system, you can count on us at Garage Door Repair San Jacinto to take care of it for you. Let us repair your broken cable, replace the torsion spring, make your opener quiet once again and get your door back on its tracks. We have the experience, the technique, the tools and a long list of happy customers so you can be rest assured your door is always in good hands with us! Professional services require expertise and we promise expert technicians and expert services to all our clients. Garage systems demand good inspections, durable repair parts and excellent maintenance in order to last long and function properly. Your safety is guaranteed with our services since we will only supply you with the best Genie and Liftmaster garage door opener systems, the best Clopay or Craftsman doors and make sure the repair parts are also manufactured by the best industries and are appropriate for your own system. Having knowledge is important in our work and that's why we regularly familiarize ourselves with innovations. We devote hours to discover the characteristics of the new Chamberlain garage doors, understand how new opener accessories work and we never miss out the chance to work on our professional skills and improve them. This way, we can improve our methods, expedite our services and become familiar with all branded garage mechanisms. At the same time, we get new tools and equipment, reorganize our warehouses and the vans and make sure we are always ready to take action when you need our assistance urgently. 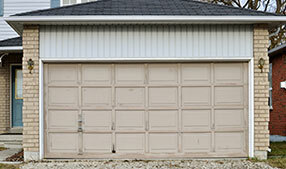 The great organization of Garage Door Repair San Jacinto gives us the chance to serve our numerous clients on time. We have support teams for your emergencies, follow excellent programs throughout the day and ensure the needs of all customers are covered efficiently. Since we offer full services, you can find the best technicians for garage door replacement, repairs or the installation of a new door under our roof. We promise quality, devoted technicians and speed. 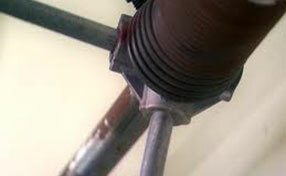 Don't wait till the springs snap, contact us today for same day maintenance!